Sleek, aerodynamic lines give the Amplify collection power, with a look of modern design and sumptuous comfort. 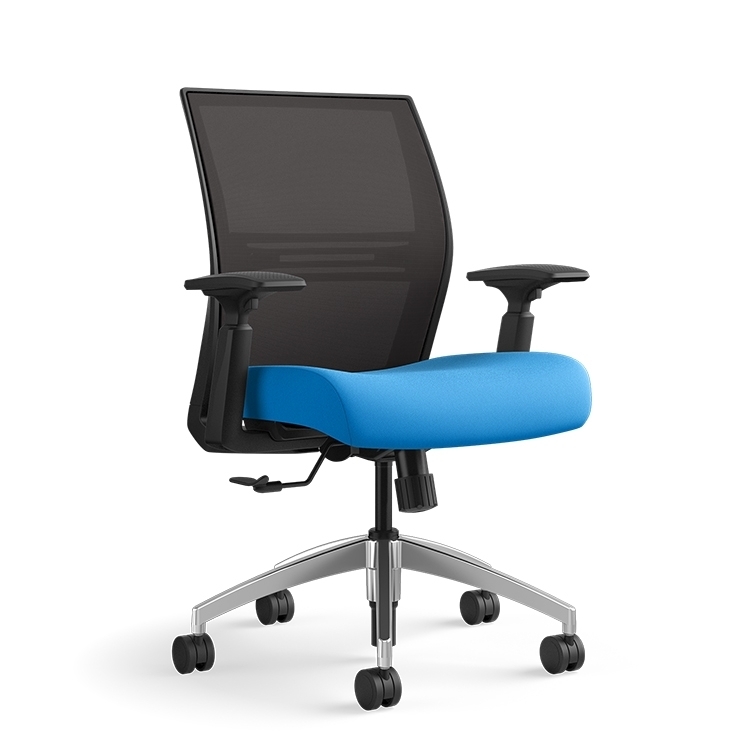 Midback and highback mesh chairs are available in multiple frame, arm and base colors. 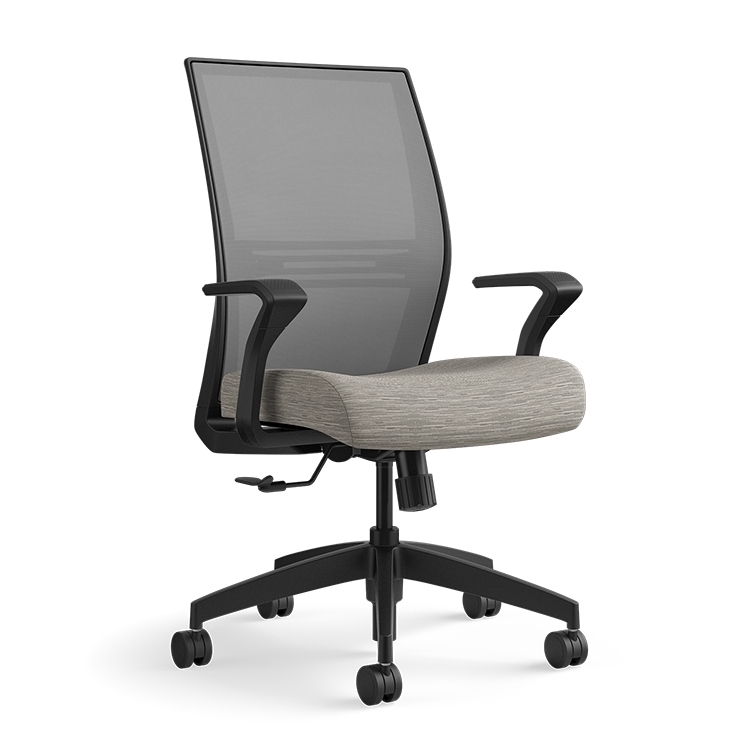 The mesh back features adjustable lumbar bands that provide optimum ergonomics. The comfortable mesh back model comes in ten colors and the upholstered waterfall seat is available in 10 fabric or leather textile grades with optional contrast stitching. Amplify offers more built-in features than any other chair in its class, with enhanced synchro, height adjustable arms and adjustable lumbar support all standard. The curvaceous profile and soft, textured arm pads make this a chair that delivers style as well as substance.